One of the interesting things about art is that there isn’t any one meaningful, all-inclusive way to explain it. There are so many variables related to both the work and the beholder that most art criticism all too often comes off sounding like something akin to buffoonery. In order to preserve my personal integrity and avoid being thought of as a buffoon myself I will limit my response to my personal reactions – which may or may not mesh with the way Wladyslaw in Krakow experiences the same piece of work. I have experienced a lot of life, art, and architecture and most works that grab me viscerally are usually the confluence of a number of factors and are not accidents that they communicate viscerally. 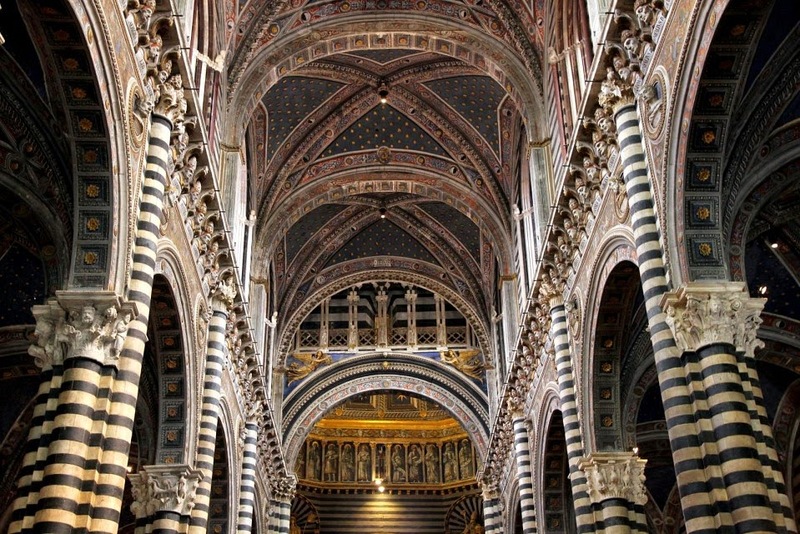 Take the Sienna Cathedral and Blue Mosque – for openers I’m blown away just by the scope of the undertaking (!). These guys were dead serious. 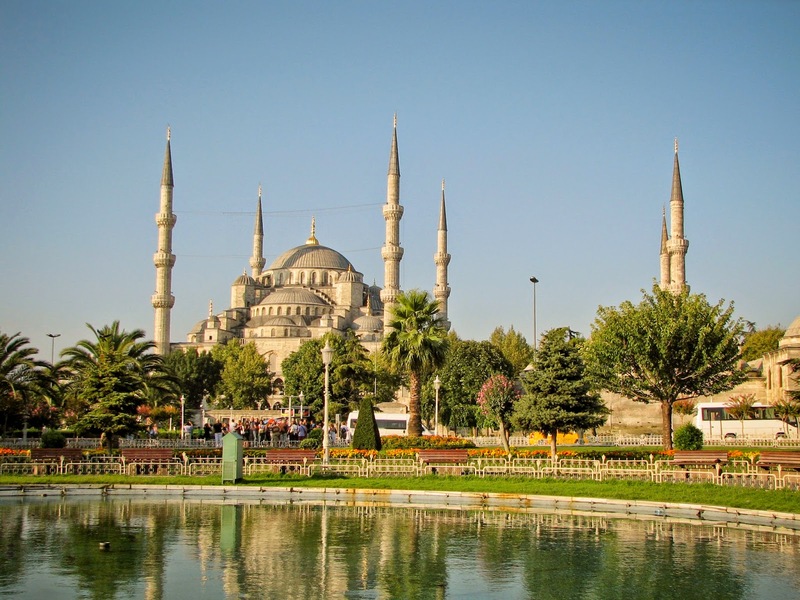 The mosque is so fantastic its image could accompany the dictionary definition of visceral. Both these buildings had great architects/artists guiding at least some of the work and who were obviously striving for an overwhelming effect. Knowing that the work we are experiencing embodies many hundreds of years of life, history, and civilization can’t help but raise a few hairs on the back of my neck. And sometimes the stars just align and good things happen (although sometimes they can also sometimes misalign and wreck havoc on otherwise wonderful situations). 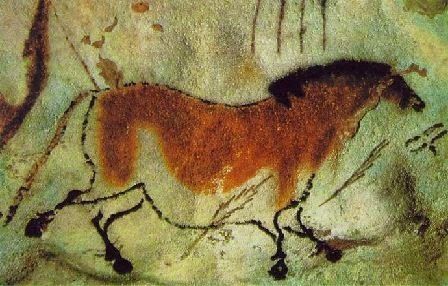 Lascaux Caves…at 17,300 years old who wouldn’t be moved – hell, one of my early ancestors might have been holding the color pot for the guy who actually painted the bulls. What’s weird is that so many of the figures are so “unprimative” – they seem remarkably sophisticated and stylized – the skillfully painted heads are disproportionally small. The fact that the purpose behind these paintings is not clearly understood makes them all the more very intriguing – here they were just after the dawn of time, initiating work that will eventually be continued by Veronese and deKooning. 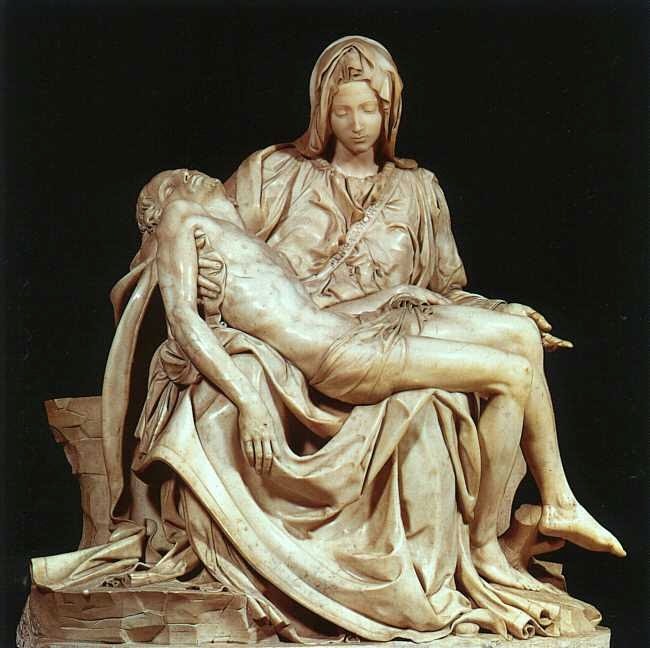 Pieta…great thought, skill, and drive to excel while speaking to the human condition just like the previous three examples…and I suspect some alignment of the stars. But then it is Michaelangelo…what did you expect? Why? I like the great thought and great skill, the compliment of both rational and emotional qualities, and the sense of intrigue concerning the enigma of life itself. Five hundred years from now I expect some people may experience visceral reactions to Bilbao, the Robie House, Guernica and other modern works that have helped shape our sense of who we are, where we’ve been, and where we may be going. And I am grateful for all of us who have been fortunate to have a ticket for the ride.